Anna is responsible for strategy and execution of field and partner marketing initiatives within the Americas, including LATAM and Canada, to deliver and maintain market growth, market share and measurable return on investments. She is also responsible for delivering go-to market strategies and plans for top global accounts in the Americas, including System Integrators, Service Providers, Strategic Outsourcers, and OEM relationships. Anna has more than 26 years of experience in sales and marketing. 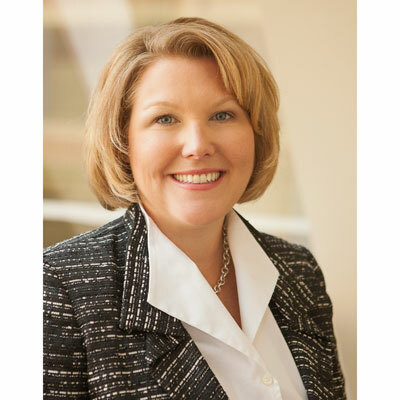 She joined VMware in 2016, coming from Dell-EMC, where she held leadership positions in Global Alliances Marketing and ran AMS Field and Partner Marketing. Anna has been the recipient of several awards including the EMC Innovator Award 2013 for marketing, 2014/2015/2016/2017 CRN "Woman of the Channel"- including achievement of the "Power 100" list, and finalist for the prestigious EMC John Howard Award in 2014 for Common Sense Marketing. She holds a Bachelor of Arts in Business Communications from Vanguard University of Southern California. My team has worked to quickly build a new team of marketing professionals that can work with our partners in the field. I have completely redefined the role of our marketing team members so that VMware can build strategic and integrated plans that focus on business objectives holistically. Now we can build strong metrics and measurement of the tactics we are driving to support demand generation and awareness at a solution level. My goal is to partner with our channel to build a stronger demand generation engine, continue to expand our network of partnerships, and continue to build a robust eco-system of partnerships that advance our joint customers objectives. Julia Child. She was much more than just a bestselling cookbook author and chef; she was also a breast cancer survivor, TV trailblazer and government spy. While she developed into the star we all know, she had many setbacks but also never gave up on herself or what she wanted to accomplish. She surrounded herself with people who supported her dreams. I sincerely appreciate the partnership and love she had with her husband and his devotion to building Julia up and supporting her aspirations. My favorite Julia quote is: "Find something you're passionate about and keep tremendously interested in it." High school is the time to focus on yourself and to dream big. Don't worry about all the other teenage drama like finding the right guy - he will come later along with reaching your goals and achieving your dreams. I would like to learn how to build apps. There have been so many times where I think to myself, "I wish we could build an app for that," and if I could master the skill, I could just do it myself. Quiet by Susan Cain. As an extrovert, this book really made me re-exam all the wonderful introverts that I work with every day. I learned many lessons from the book including to listen more, be patient and appreciate that everyone has a different style to find solutions. It's a really awesome read and I highly recommend it.